Did you know there are 4 compelling ways to motivate prospects to return your calls? And do you know how to avoid the 6 most deadly voice mail mistakes? 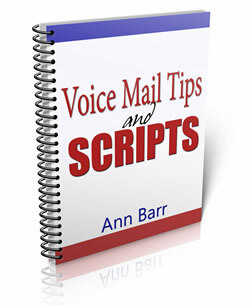 As you study every word of this valuable 33-page e-book, you will be surprised at how easy it is to leave voice mail messages that motivate prospects to return your calls.